..And this kind of ever-first-Christmas experience had tapped into more of my Holiday and Creative-loving self, making the event quite memorable and heart-warming for me. Once again I’m dubbing this year as “My First to Everything!” *laughs* It certainly is! 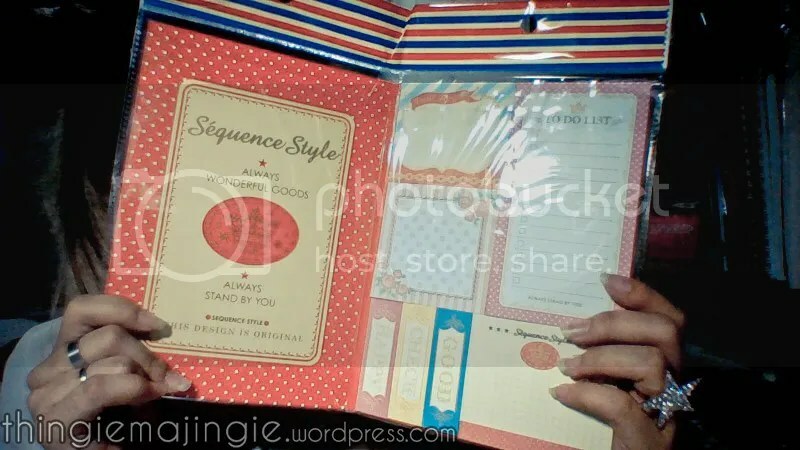 So while there were given categories for each blogger to find items for, allow me to add more Kris Kringle ideas for my readers who are stuck in a rut and couldn’t find anything that is suitable for their own Kris Kringle event. 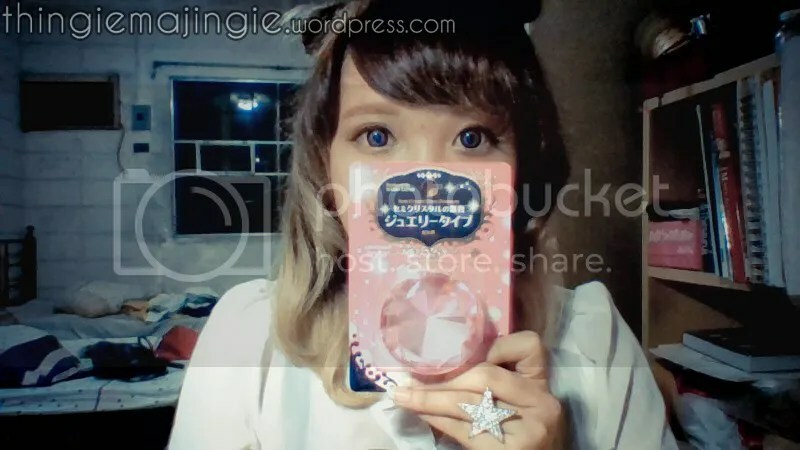 Fear not, Thingiemajingie and Daiso Japan are here to help you this Christmas! To brighten up your academic or works space, this here booklet of post-its are a winner. I was about to grab hold of those writing and coloring material section until I ventured into the snack aisle. 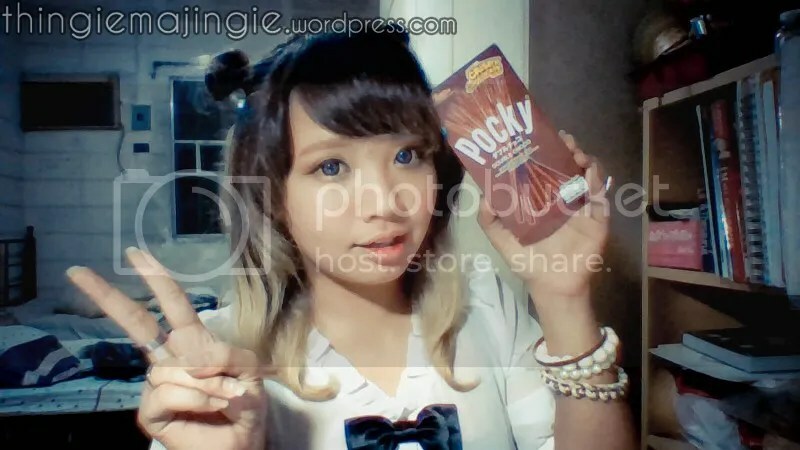 And being the Anime/manga fan since ever so young, the sight of the Pocky treats filled my fangirl heart (and tummy soon after!). Did anyone ever wondered what the female/male protagonist was chewing on? That brown stick from a red box on their hands. What was it. I need to have it! When I realized it was Pocky, it was definitely a reminiscent of my childhood! The realization was so delightful I was sniggering with my 10-year-old self. 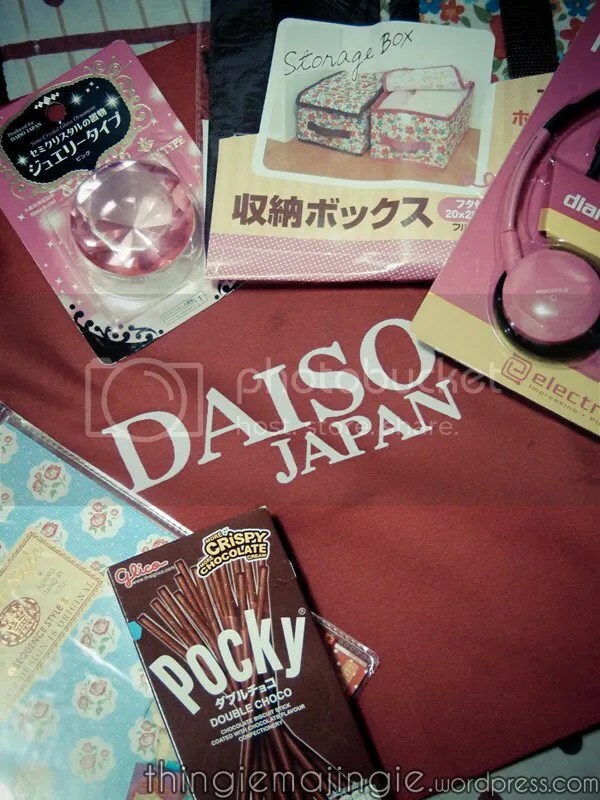 By my own personal opinion: practicality is what Daiso Japan is known for. Organization is probably next. The cuteness and kawainess goes in between at most times. I started wanting to collect the many of Daiso Japan’s containers and storage for my own use and keep. Seeing this folding storage box with cover was simply a must-have! I chose the brown one so that dusts and dirts wouldn’t be as noticeable as on the pink. Though I’d totally tap the pink though. And a bigger size at that too. Hee~ Definitely useable after a year, won’t you agree? 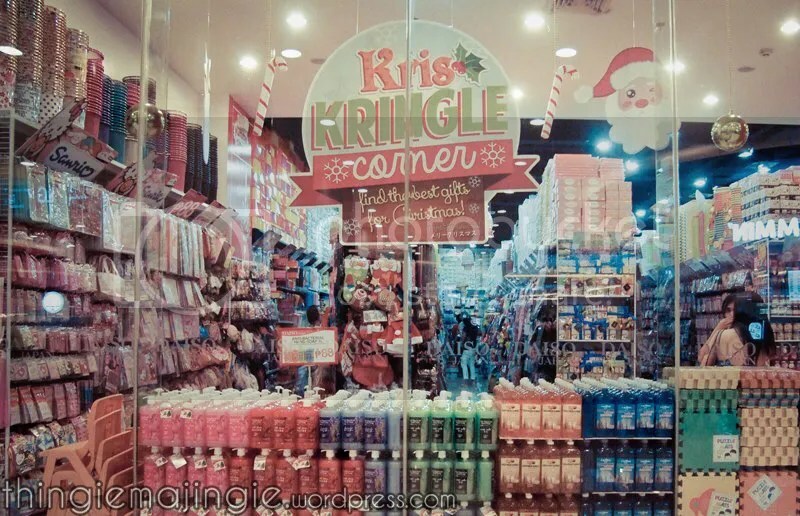 Daiso Japan’s was that mindful and thoughtful — to include pampering on a Kris Kringle exchange (I found it cute, really!). While there are items that pleases its user with its functions, there are products that are solely for feel-good and relaxing. Pampering varies person to person and with me choosing a pair of headphones among their gadget section was my idea of relaxing. Music is my pampering buddy! And, why yes, Daiso Japan does offer a wide range of items and accessories under their gadget section! For smart phones, music players, computers… they even include covers and cleaners among their selections. 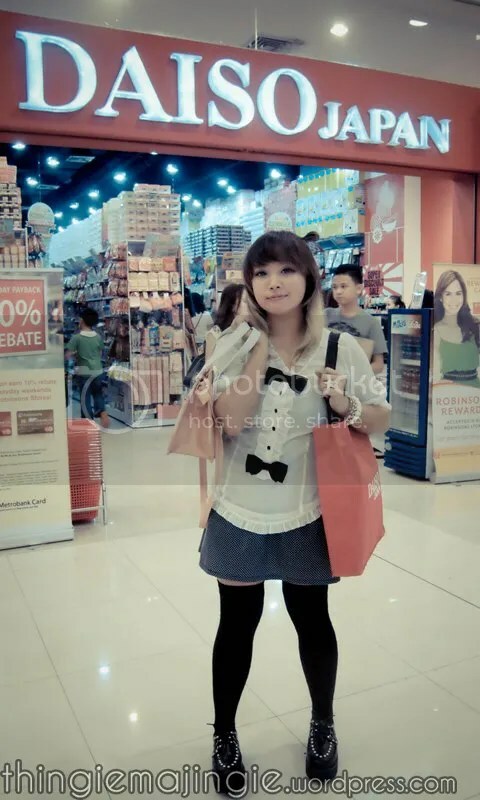 D is for Daiso, as our friendly and pleasant host – Hi, Ms. Melanie! – told us bloggers. 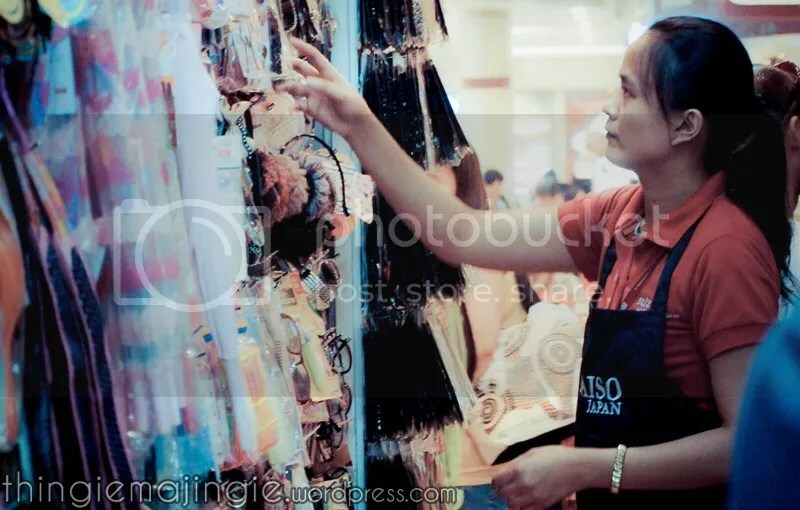 Find an item that starts with D. I knew right away the most common of D things inside Daiso Japan and I honestly didn’t want to follow that trend. I had aimed for something new — something creative! Something D’amzing……… and then my head made a mental kick at me after I stopped short at the stationary/office supply aisle and stared at notebooks and sketchpads. Diary and Drawing. Woah, right there. That was seriously creative! Even I was amazed at the thought. Pretty sweet, eh? Pretty sweet. 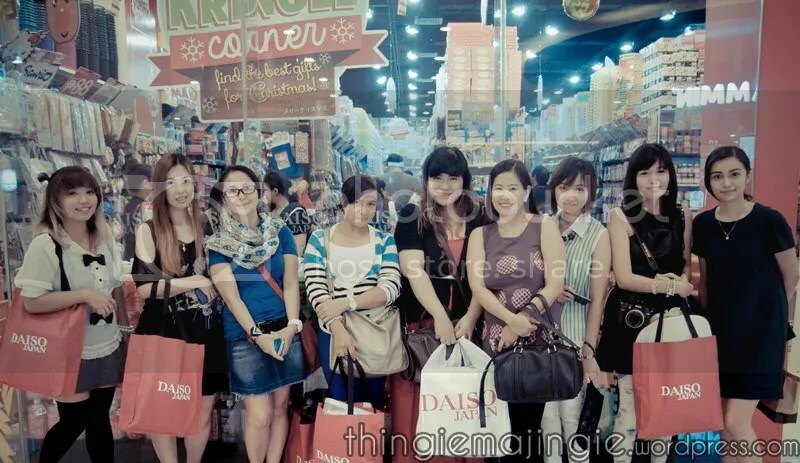 The invited bloggers with Ms. Melanie (far right). 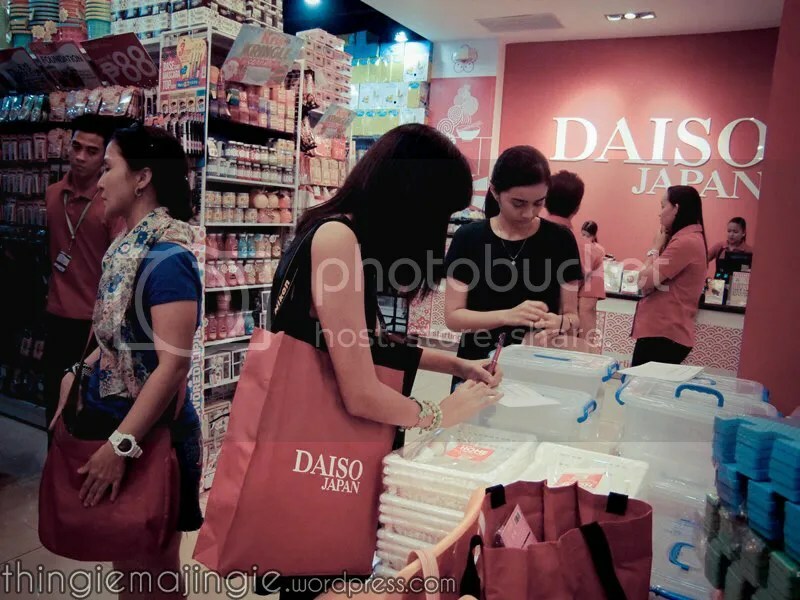 My Kris Kringle Blogger Event experience was all thanks to Ms. Melanie Santiago – Daiso Japan PH’s Marketing Officer – who expressed her kind invitation to me upon reading my first Daiso Japan post. 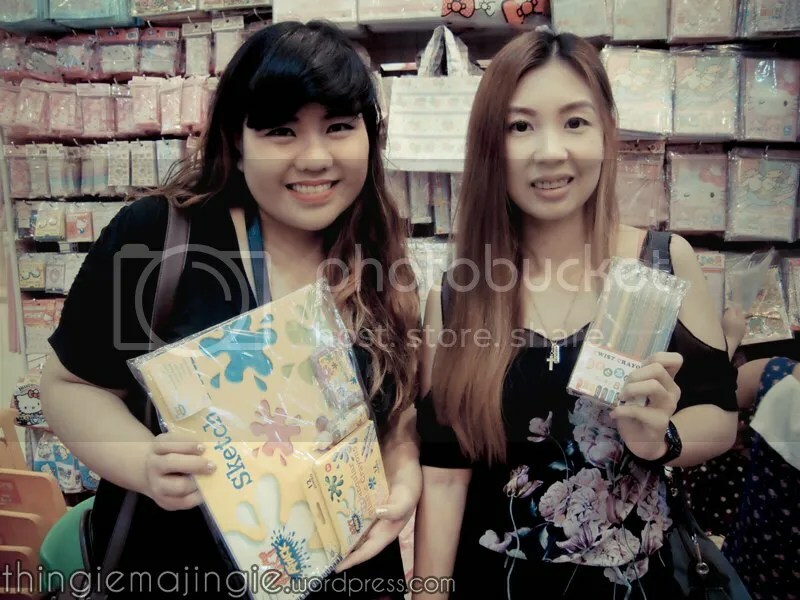 And also my thanks to Ms. Bernice Chioa – Daiso Japan PH’s Marketing Manager – for her shared enthusiasm and friendly accommodation towards us bloggers. Thank you berry much! I really had fun! 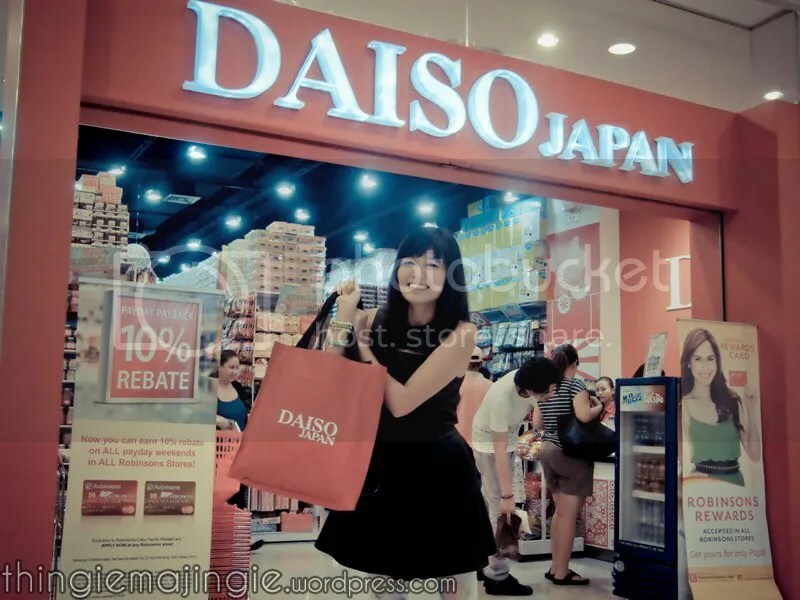 Ｏ(≧∇≦)Ｏ Until the next Daiso Japan gig! 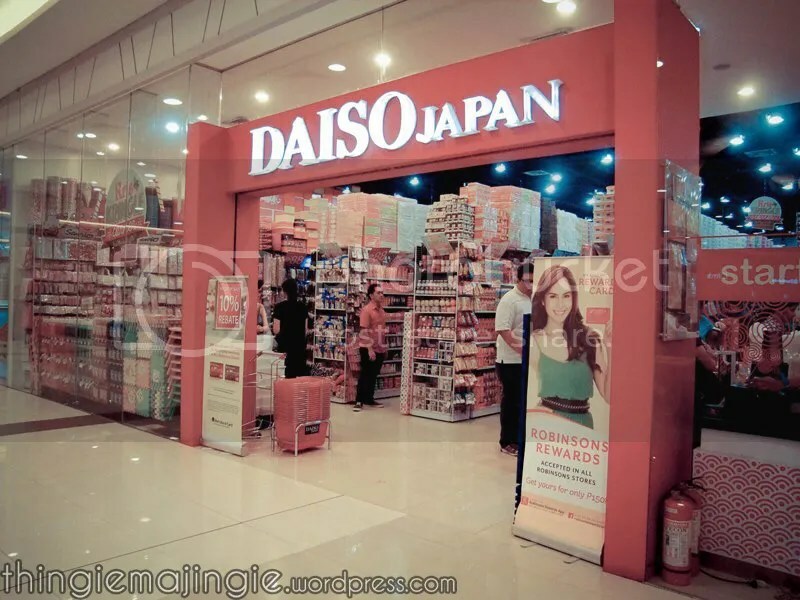 I definitely can’t wait to see the next items Daiso Japan would be having! 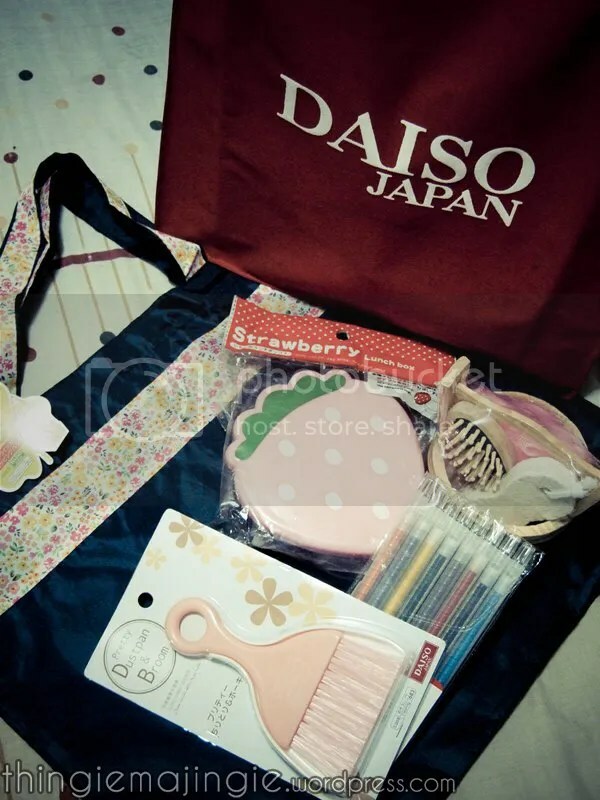 Come like Daiso Japan’s page on Facebook! Follow their Tweets and posts on Instagram too! Previous Post DSS & ML: Happy Holidays! Next Post My Favorite Punk Gal! yaw giiirl! Really Nice meeting you last sat! see you again soon!!! !